← Zizan Razak is on a learning journey still! The crowd started to gather in the stadium and getting their light sticks ready for the two and a half hour show. 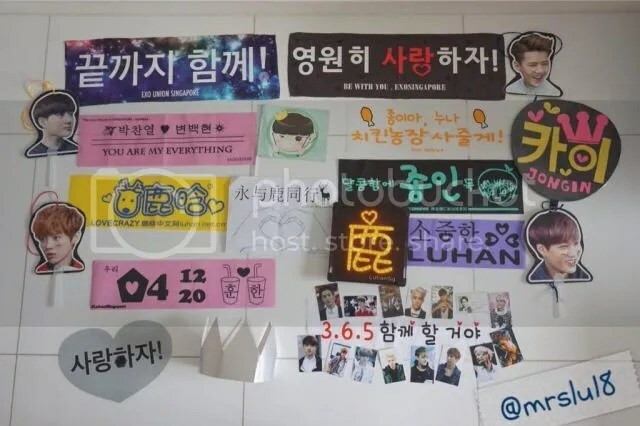 The great relationship between the fans and the band has initiated fans to produce hand banners and cut out of the individual pictures as a way to show their support and love for the members. 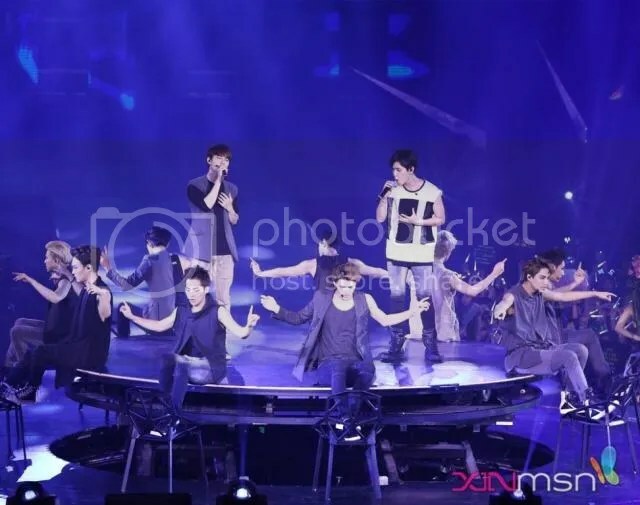 The 11 charming boys started the show by incorporating Maori Haka into their dance followed by their debut song Mama. During the introduction, the guys put in much effort to interact with their fans in English and cheekily teased each other when either of them spoke English. I was impressed with the stage design. Thanks to the stage outlook, the boys are able to interact and walk freely throughout the stadium and send flying kisses. It does even matter if you sat far from the stage because the boys made extra effort to there pop up randomly at different locations of the stage. This just made the fans love them even deeper. 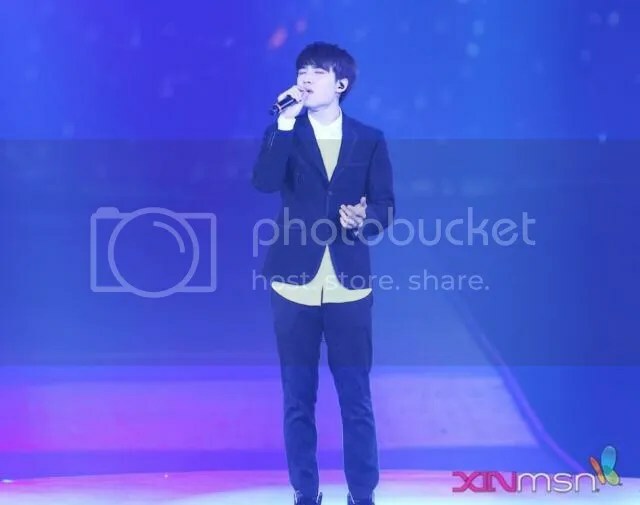 The main vocalists D.O and Baekhyun serenaded the fans with their soulful heart-melting voices during their solos, rapper Chanyeol showed off his drumming skills while the other members did their solo dancing. Tao also got a lot of cheers during his martial arts solo. 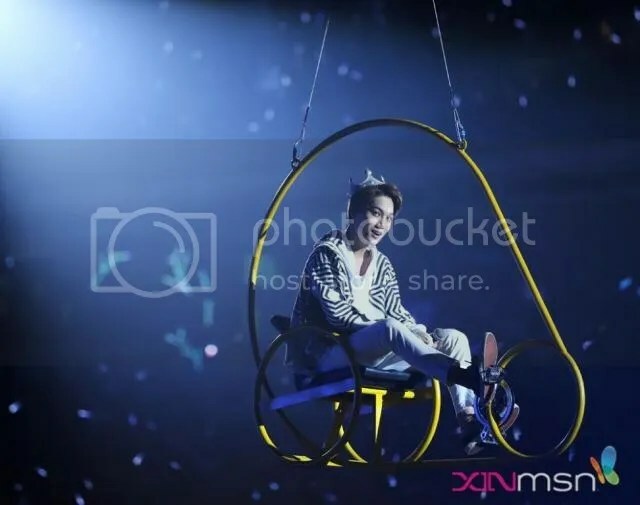 The leader of the group, Suho also went down the stage and took Polaroids with a lucky fan. The boys even gave out stalks of roses to lucky fans in the audience, displaying excellent fan service. The crowd got crazier when they started to sing and dance to Machine and Let out the Beast and the hip thrusting with a mirror reflection during My Lady. The girls start squealing again when D.O popped up dressed in a bathrobe. A lucky girl was also picked to go on stage during their dance battle and the group danced to Girls Generation, Gee and Super Junior’s Sorry Sorry and XOXO, from their first album which sold over more than 1 million copies. When it is time to say goodbye, the fans knew that it was not the end and kept chanting for encores. 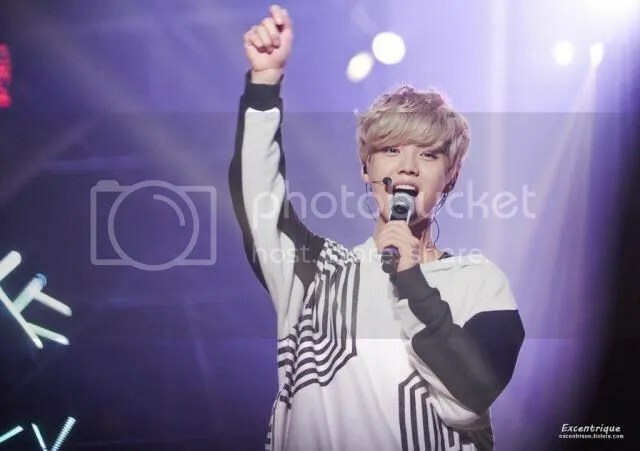 Of course, they were back and sang their hit songs, Wolf and Growl. 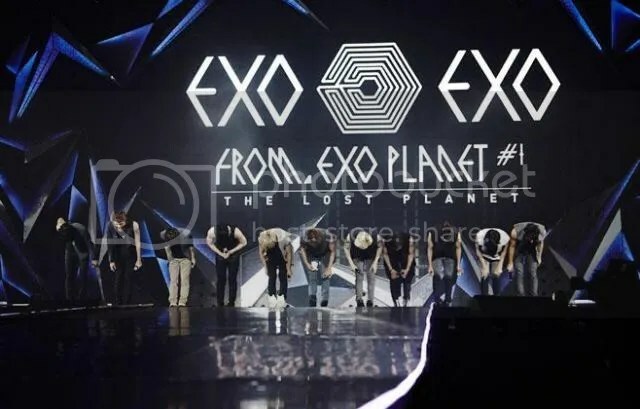 The event ended with a high note when Baekhyun and Kai did the ALS Ice Bucket Challenge on the stage. It does help to bring the temperature down at the stadium!